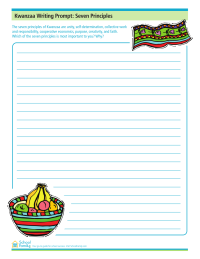 Printable Kwanzaa-theme math worksheets, writing prompts, activities, and more. 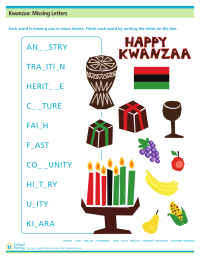 Use this Kwanzaa missing letters sheet to help practice skills while reinforcing Kwanzaa traditions. 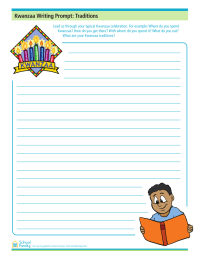 Use this Kwanzaa writing prompt to help children practice their writing skills while discussing their family's Kwanzaa traditions. 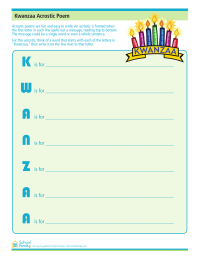 Use this Kwanzaa writing prompt to help children practice their writing skills while discussing the seven principles of Kwanzaa.